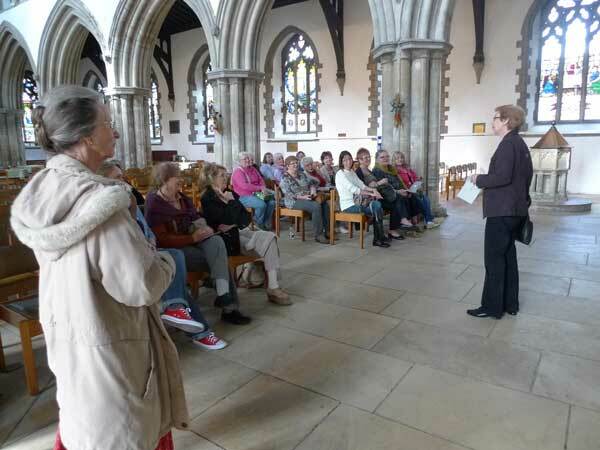 An afternoon viewing and discussion about the 62 Groups’ Ebb and Flow exhibition served with afternoon tea and cake at the end of the tour. 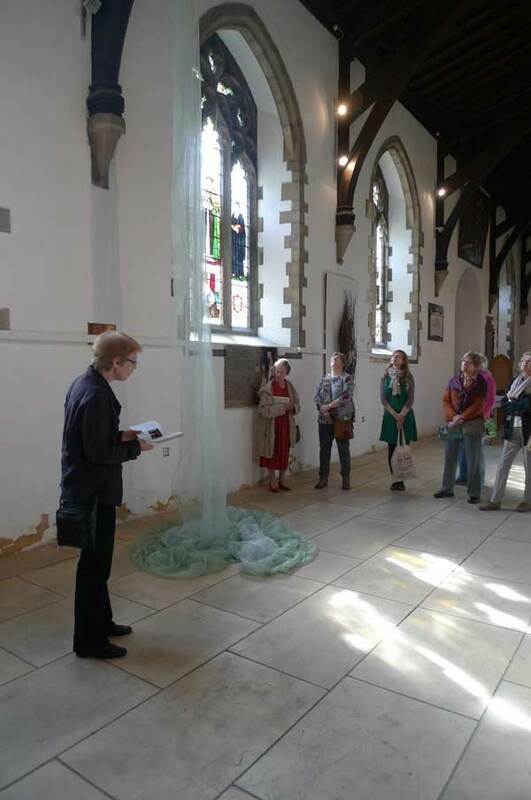 June Hill led the discussion and tour of the Ebb & Flow exhibition across both hosting exhibition venues; The Grimsby Minster and The Fishing Heritage Centre. 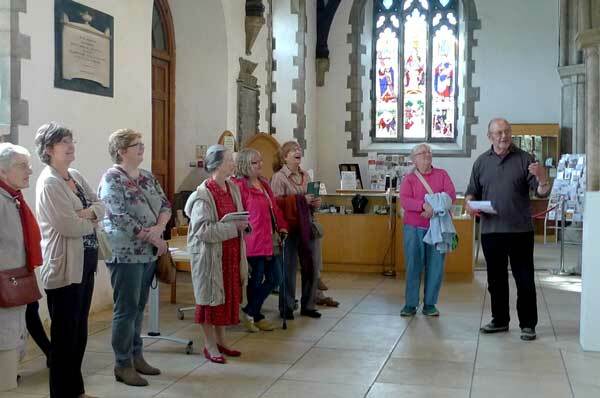 Alf Ludlam and Diana Springall also contributed to the discussions. 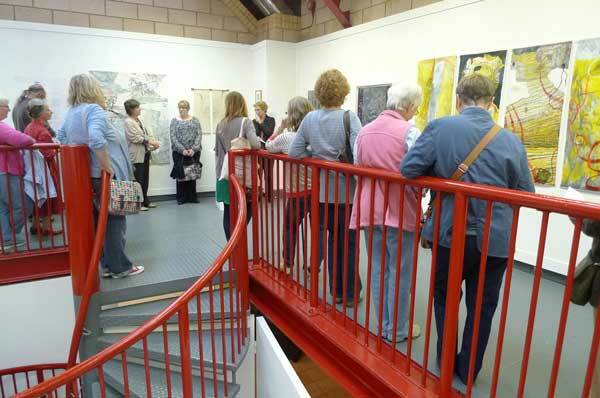 Throughout the afternoon the audience were able to talk, discuss and share thoughts about the 62 Group exhibitions Ebb and Flow in situ with June, Alf and Diana. June Hill is a freelance curator and writer. 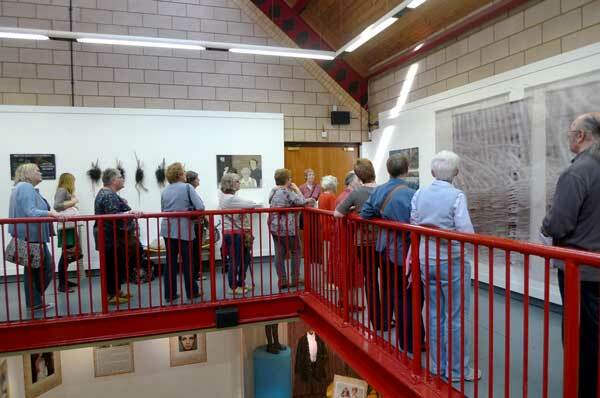 She contributes regularly to magazines and exhibition catalogues, including Embroidery and Selvedge and has curated a series of exhibitions for Ruthin Craft Centre. Alf Ludlam taught Painting and Drawing at Grimsby Art School for 25 + years and has volunteered at Fishing Heritage Centre, Grimsby since 1991. Diana Springall is one of Britain’s best-known textile artists. Her work is found in many private and public collections, including the Embroiderers’ Guild and the Victoria and Albert Museum. Both June and Diana are two of the 62 Groups’ non-exhibiting Honorary Members. 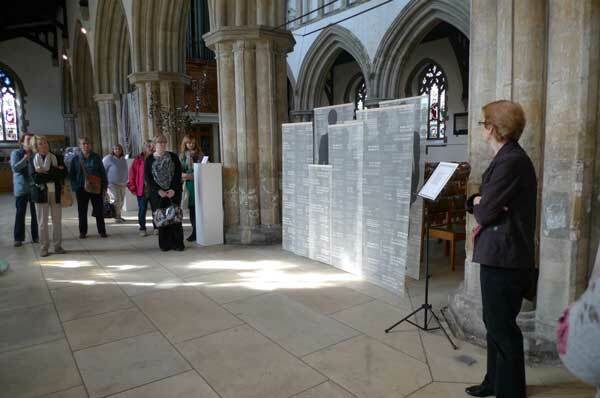 I most enjoyed the opportunity to hear the experts critique the individual exhibits and to have an open dialogue. 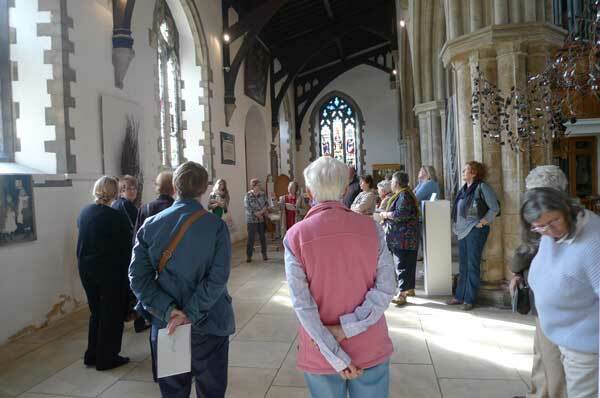 The tour and discussion encourage me to look at the different works from every angle; my ‘take’ is always too narrow. An enjoyable, informative, inspirational and thought-provoking afternoon. More please!